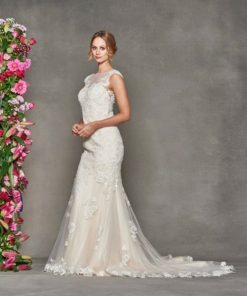 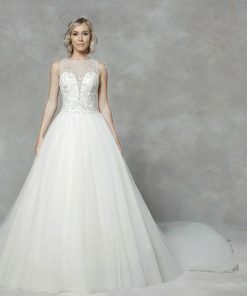 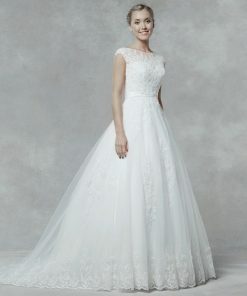 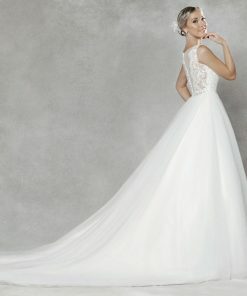 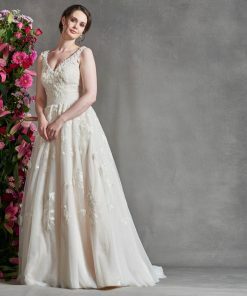 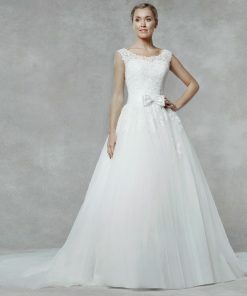 A stunning beaded lace ball gown with tulle overlay. 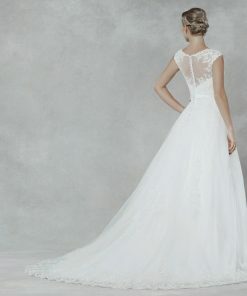 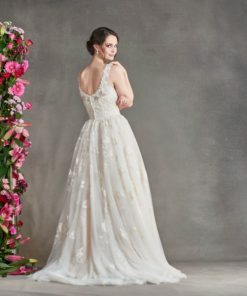 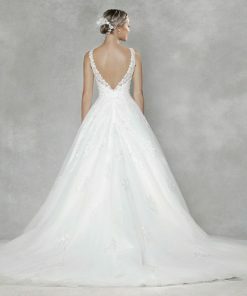 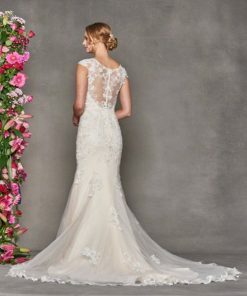 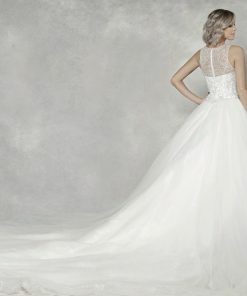 The gown completes the exquisite look with a Queen Anne neckline and a cut-out back. 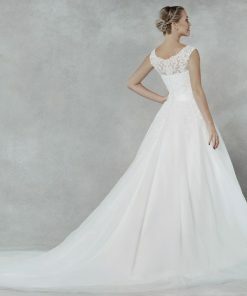 Available in several colours (please enquire).